Are you searching for a plastic adhesive to meet your requirements for plastic bonding? 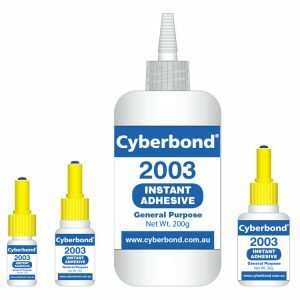 Whether you are part of the electronics, automotive, aerospace, medical, plumbing or any other industry, Cyberbond has a wide assortment of plastic adhesives you can depend upon. 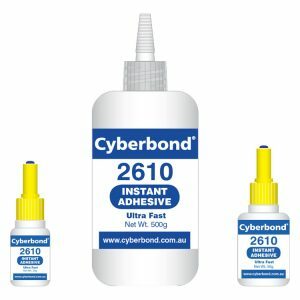 Cyberbond manufactures a wide range of plastic adhesives technologies and formulations designed for compatibility with a wide array of plastics. We will give you the opportunity to purchase a single case for small applications or mass quantities of plastic glue for bigger production requirements. ABS Glue: ABS glue can be used in a variety of industries such as for automotive trim components, automotive bumpers, enclosures for electrical and electronic assemblies, toys and more. PVC Glue: PVC glue is used in situations involving piping, portable electronic accessories, ceiling tiles and signage. PTFE Glue: PTFE glue is highly used in medical, automotive, aerospace, electrical, chemical and many other industries. PMMA Glue: PMMA glue comes in handy for a variety of applications and industries such as medical, signage, surgery and many others. PETG Glue: PETG glue can be used for industries such as thermoforming and printing industries. 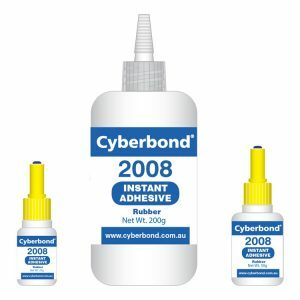 Cyberbond’s many forms of plastic adhesives can meet your important requirements for plastic bonding. We have glue with a wide range of properties such as high strength, high or low viscosity, variety of colours and more. At Cyberbond, we are highly committed to ensuring that our plastic adhesives meet only the strictest of standards and we prove it with our ISO 9001:2008 certification, ISO/TS 16949:2009 certification and ISO 13485:2003 certification. Check out the various plastic adhesives which we are proud to offer to our wide range of customers.